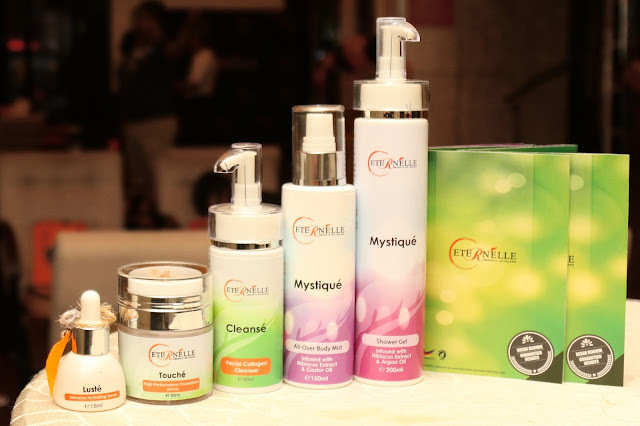 A new local brand called Eternelle organic skincare, formulated as pure, organic and all natural to nourish your skin with maximum benefits, regardless of skin type. The products were conceived with Asians in mind to meet their exacting needs with regards to their environments, weather condition, humidity and other anomalies. 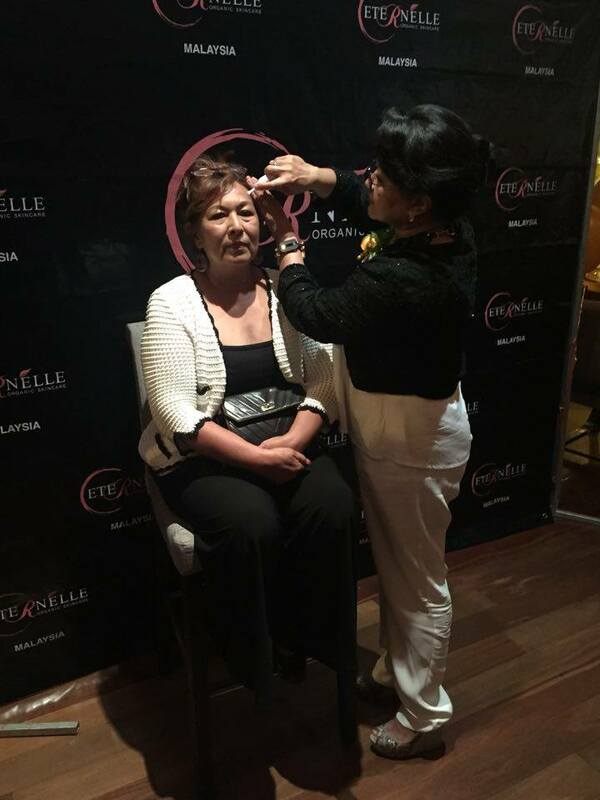 Puan Rohanna has flustered around the various beauty counters and aesthetics facilities for solutions. There were various invasive treatments and also sophisticated skin care products at exorbitant price but none delivered the results she desired. Many chemicals used in skin care products can irritate the skin and cause allergies. Cosmetics companies use chemicals because they are cheap and extend product shelf life. Another fact gathered was that many skincare products attempt to fix problematic or damaged skins but few nourish and nurture the skin to regain its natural glory. 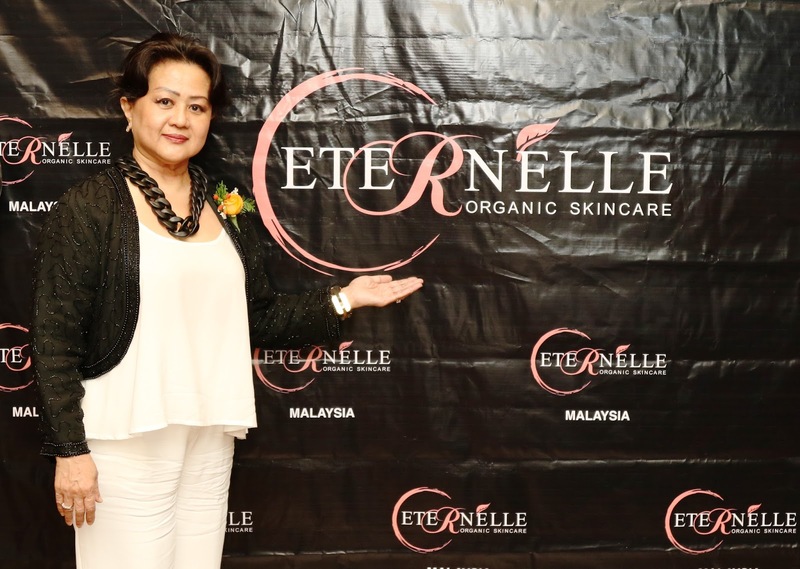 Inspired by the Japanese use of high quality, yet effective natural botanical elements in their skincare regimen, Eternelle strives to deliver simple elegance at affordable price for more inclusive market. - A facial collagen cleanser that will make your skin fresh and oil free. 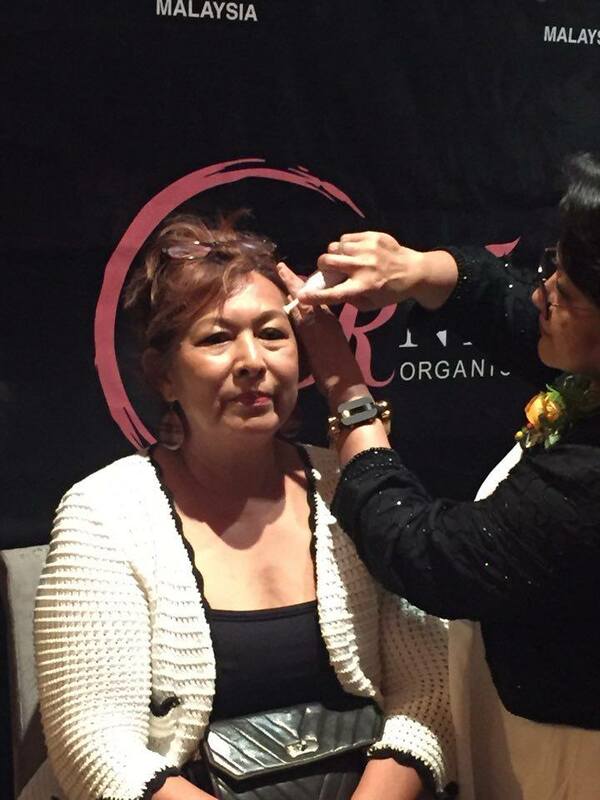 - A very rich serum for hydration, only 1 or 2 drops to hydrate your skin efficiently. - Firm and lift gel, it's a miracle when you see how fast it firms and lifts up sagginess of your skin in minutes! Everyday application of this will ensure your skin stays firm daily. -Not only it has SPF 30 protection from UV rays, it has a smooth texture, lightweight and does not cause sweat marks. This 4-step regime will be substantial to achieve the natural and eternal youthful glow even without superficial or cosmetic effects and deliver the essential nutrients to the skin for lasting impressions. 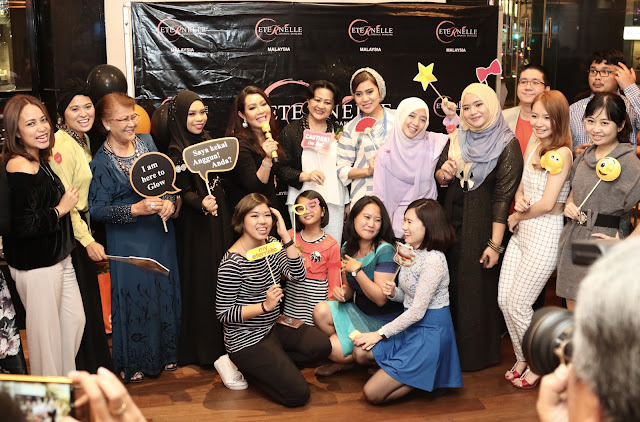 Puan Rohanna Hussein demonstrate how to use the MIRACLE. The MIRACLE is very effective that you can see the result in just 3 minutes and your skin can become firm and lifted like glory healthy skin. 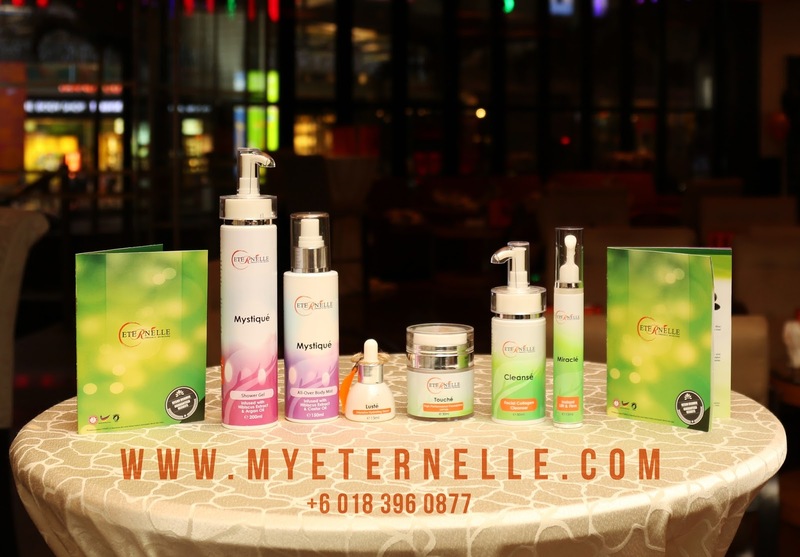 Eternelle skincare series will not only help revitalise dull and tired skin to regain its youthful glow, but they will also improve the health of skin in the long run with continuous application. The use of organic extracts create an intensive restorative effects of natural firmness that considerably reduce sagging skin and drooping lines instantaneously. Eternelle skincare and body care series are all environmentally friendly, eco-conscious and organic. 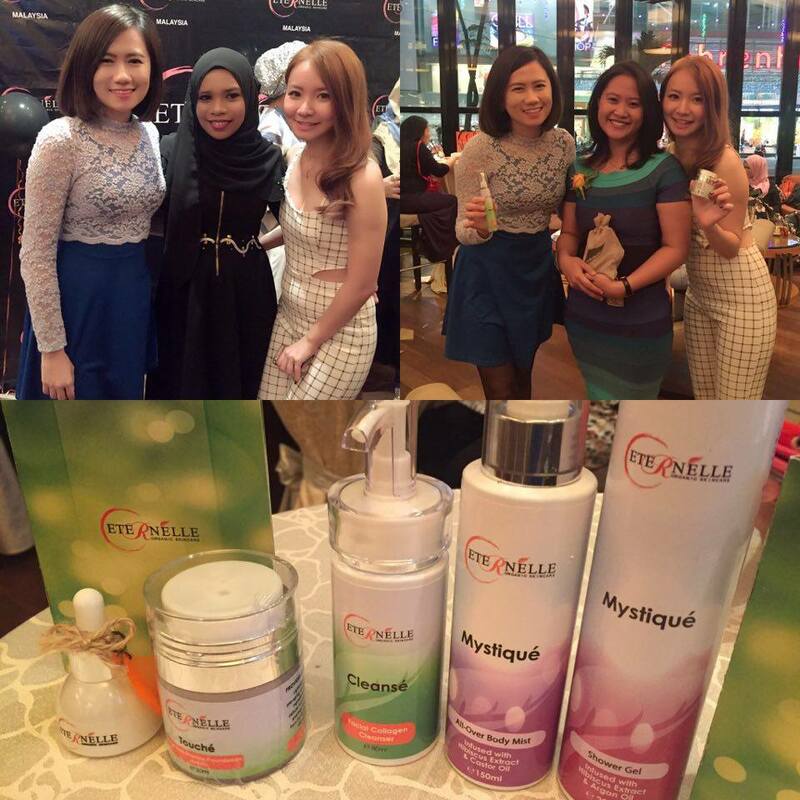 Apart from the ingredients, Eternelle is proud to pioneer refillable in its products. Besides being cost-effective, the refillable also support reduce-reuse-recycle moves to save the earth and promote friendlier environment. At the end of the event, we have a group photos. 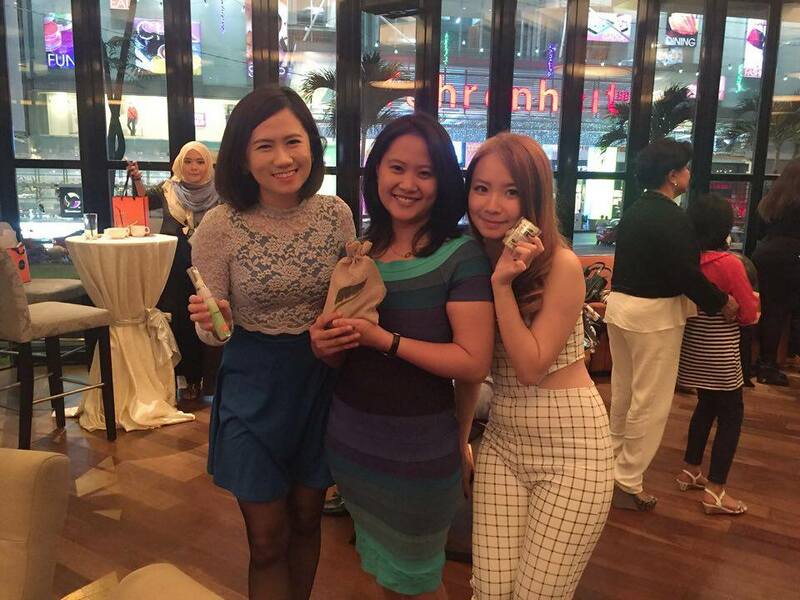 To all my dear reader, if you purchase the Skincare set or Bodycare set now, you are automatically entitled to enter the lucky draw contest. The prize for the contest is 999.9 Goldbar. Winner will be announced on the 1st April 2016 Facebook Page or Instagram. 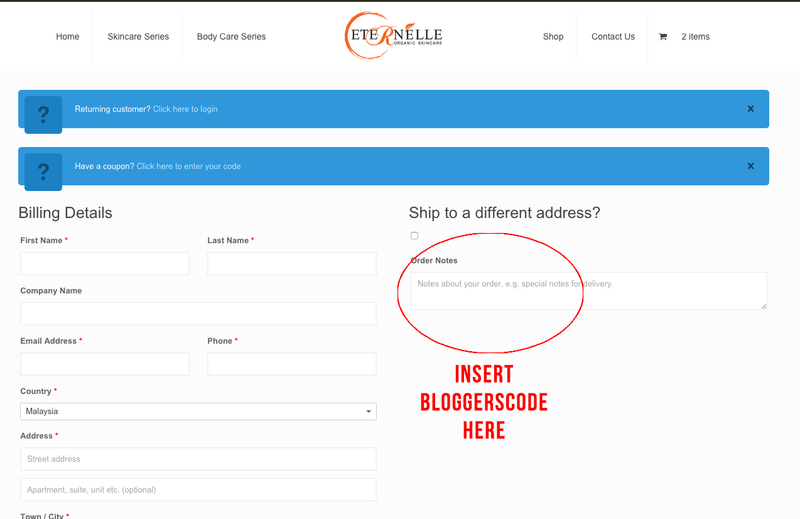 Please follow and like ENTERNELLE's Facebook and Instagram now for their latest news. And don't forget to key in the promo code "ETANG" at the order notes' column when you checkout. Please refer to the image below. **Single item purchased as normal price is not entitled to join the lucky draw contest.